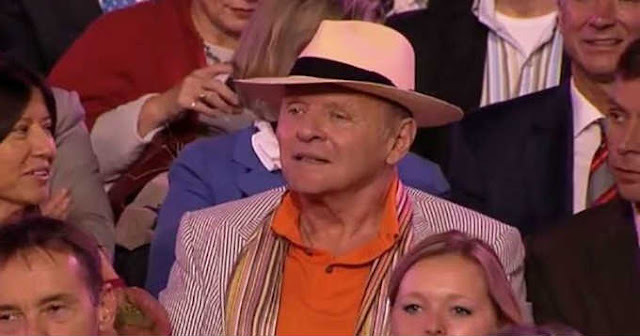 Sir Anthony Hopkins is widely known around the world as one of the greatest actors of our time. He won an Academy Award for Best Actor for his portrayal of Hannibal Lecter in The Silence of the Lambs, and he has also featured in films such as The Mask of Zorro, Nixon, and Amistad. However, very few people know that Hopkins graduated from the Royal Welsh College of Music & Drama before he underwent training as an actor. In fact, Hopkins was a talented musician who enjoyed writing and composing his own pieces. One of his compositions is titled, “And The Waltz Goes On,” and Hopkins wrote it when he was only 19-years-old. After finishing the piece, he served two years in the British Army and then changed career paths to become an actor. He never thought he would hear the waltz he wrote, but then something extraordinary happened. While attending a concert, Hopkins was shocked when André Rieu and the Johann Strauss Orchestra performed “And The Waltz Goes On.” It’s the first time that this piece of music has been played, ever. Hopkin’s reaction says it all. This post was republished from shareably.net. You can find the original post here.